THE likes of giants PJ Ramos, Marcus Douthit, Liam McMorrow, among others, are set for a return stint in the 41st season of the PBA. The league will again enforce the handicapping system among imports for the Commissioner’s and Governors’ Cup, respectively as approved by the board during its regular monthly meeting held Thursday. Minnows are once more expected to benefit from the system as the two teams at the bottom of the standings after the season-opening Philippine Cup will be allowed to tap imports of unlimited height in the Commissioner's Cup. The rest of the teams will be allowed imports no taller than 6-foot-9. The 7-foot-3 Ramos, a former member of the Puerto Rican national team, suited up for KIA in the mid-season Commissioner's Cup, along with the 6-foot-11 Douthit, who played for Blackwater. Of the two, Ramos had relatively more success as he almost led KIA to its first ever playoffs appearance after the team finished tied with San Miguel and Globalport with similar 4-7 slates, just a shade below Barangay Ginebra (5-6), which clinched the last quarterfinals berth. In the Governors Cup, the bottom four teams as per the combined elimination round results of the Philippine Cup and Commissioner’s Cup, will be given the leeway to tap reinforcements with a height of 6-foot-9. The top eight teams on the other hand, are allowed the regular height limit for imports of 6-foot-5. 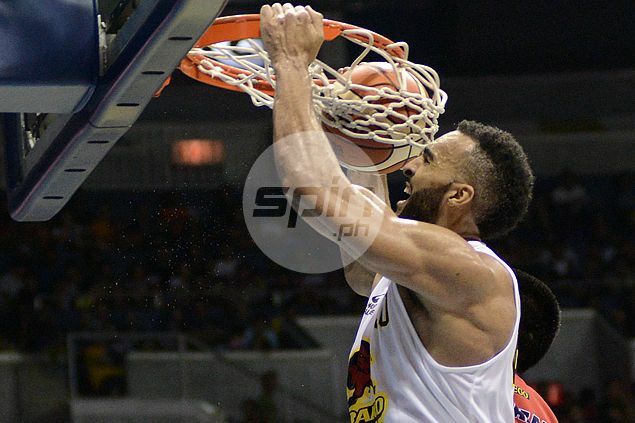 The 7-foot-2 McMorrow reinforced Barako Bull in last year’s Governors Cup where the Energy mostly showed the way in the eliminations before faltering in the playoffs. Tapping the services of Asian import in the season-ending tournament will also be enforced but only on the option of teams, with a height limit of 6-foot-3. Among the Asian imports who saw action last year include Sam Daghles (Talk ‘N Text), Omar Krayem (Globalport), Seiya Ando (Meralco), Jiwan Kim (Ginebra), Michael Madanly (NLEX), and Jet Chang (KIA).